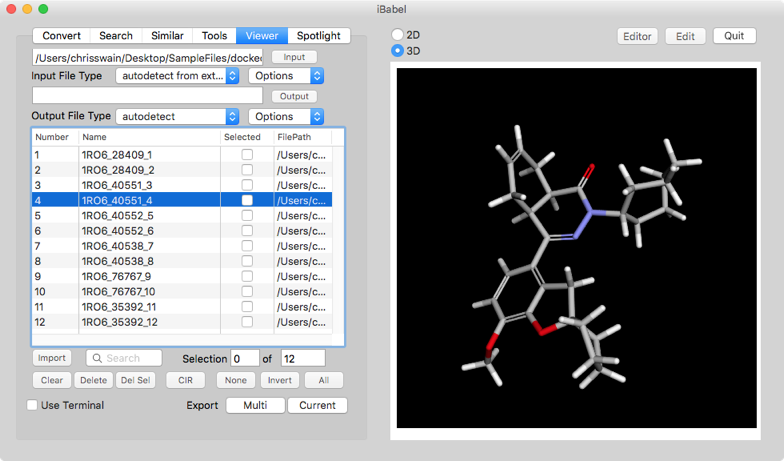 iBabel is a GUI (graphical user interface) for the open source cheminformatics toolkit OpenBabel. It also provides an interface to a variety of tools built using OpenBabel and a molecule viewer. 4 January 2016 Update, Version 3.6 link to description and download.